Golden Retriever dog breed was developed in Great Britain. In the mid-1800s, Lord Tweedmouth of Guisachan bought his first yellow retriever, a male, whom he bred to a Tweed Water Spaniel in hopes of developing an even better bird dog. Through the years, cross-breedings were made to other Tweed Water Spaniels, Irish Setters, other retrievers, and, it is said, even a Bloodhound. Lord Tweedmouth’s gamekeepers kept records of breedings from 1835 until about 1890. 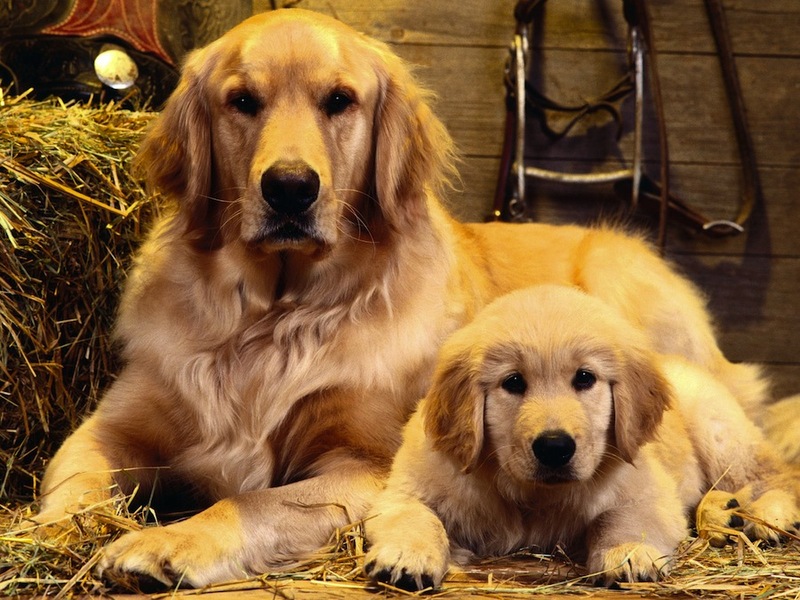 These records detailed the beginning of the breed that was later to be called the Golden Retriever. The Golden Retriever is an excellent family dog. Golden Retrievers stand from 21.5 to 24 inches tall and weigh about 50 to 80 pounds, with Golden Retriever females smaller than Golden Retriever males. Their expression is kind, eager, and alert, with dark, friendly eyes and soft, dropped ears. The body is strong, giving the appearance of being able to work in the field all day. The coat is dense and of medium length, not coarse or silky. There is a ruff around the neck and down the front of the chest and feathering on the legs and tail. The undercoat is soft. Colors range throughout the spectrum of gold, from light to dark, although extremely pale and extremely dark golds are less preferable. Grooming a Golden Retriever is not difficult but needs to be done on a regular basis, as the feathering can mat, especially if it gets wet or picks up burrs or foxtails. Brushing and combing the dog twice a week is usually fine, although additional effort might be needed in the spring and fall when shedding is at its heaviest. The ears should be cleaned twice a week, too. Golden Retrievers are very active, and when they don’t get enough exercise, they can get into trouble. Golden Retrievers, by temperament, are friendly with just about everyone. Golden Retrievers love all mankind! The Golden Retriever dog breed can also be funny and silly; Golden Retrievers enjoy trick training and love to show off. Although they will bark when someone comes to the house, they cannot be counted on to be watchdogs or protectors. Training is necessary so that the Golden Retriever puppy learns the household rules and correct social behaviors. 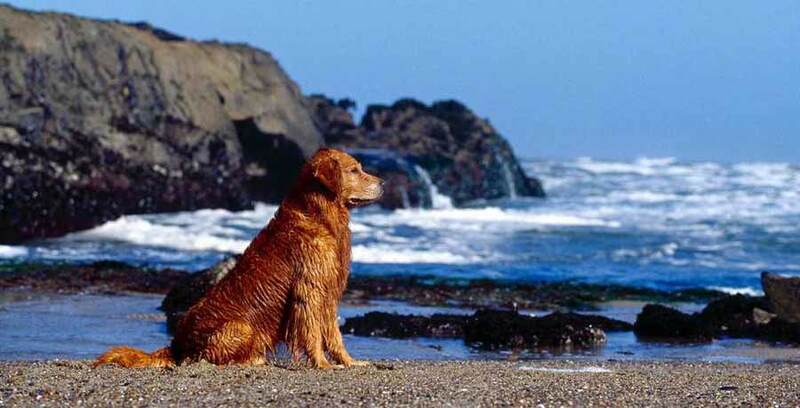 In addition, the Golden Retriever breed needs the mental stimulation and challenge of training. A bored Golden Retriever will get into trouble; a Golden Retriever with training and a job to do is a happy dog. Golden Retrievers also thrive in performance sports, including obedience competition, agility, flyball, flying disc, and hunt tests, as well as tracking and search and rescue. Their temperament is perfect for therapy dog work. Golden Retrievers are excellent family dogs, although Golden Retriever puppies can be rowdy and need to learn to be gentle with small children. They are usually quite good with other small pets. Do not trust the breed with birds! Health concerns include hip dysplasia, allergies, and eye disorders. Share your Golden Retriever story. Note: Upload only Golden Retriever picture or your picture with Golden Retriever below - spammer's ip may be blocked. The Golden Retriever’s kindly expression says it all. This is one of the finest family dogs in the world: cheerful, demonstrative, trustworthy with everyone, and forgiving of any mistakes made by inexperienced owners.